The goal of this study was to investigate the effect of the environmental conditions such as the temperature change, incubation time and surface type on the resistance of Staphylococcus aureus biofilms to disinfectants. The antibiofilm assays were performed against biofilms grown at 20 °C, 30 °C and 37 °C, on the stainless steel and polycarbonate, during 24 and 48 h. The involvement of the biofilm matrix and the bacterial membrane fluidity in the resistance of sessile cells were investigated. Our results show that the efficiency of disinfectants was dependent on the growth temperature, the surface type and the disinfectant product. The increase of growth temperature from 20 °C to 37 °C, with an incubation time of 24 h, increased the resistance of biofilms to cationic antimicrobials. This change of growth temperature did not affect the major content of the biofilm matrix, but it decreased the membrane fluidity of sessile cells through the increase of the anteiso-C19 relative amount. 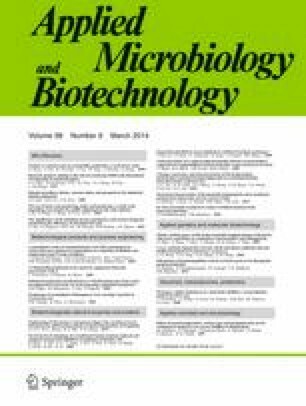 The increase of the biofilm resistance to disinfectants, with the rise of the incubation time, was dependent on both growth temperature and disinfectant product. The increase of the biofilm age also promoted increases in the matrix production and the membrane fluidity of sessile cells. The resistance of S. aureus biofilm seems to depend on the environment of the biofilm formation and involves both extracellular matrix and membrane fluidity of sessile cells. Our study represents the first report describing the impact of environmental conditions on the matrix production, sessile cells membrane fluidity and resistance of S. aureus biofilms to disinfectants. The authors are grateful to the French Agency for Research and Technology (ANRT) and SCIENTIS laboratory for the CIFRE grant supporting this work (CIFRE: 2010/0205).